RABBI BARUCH GARTNER grew up in Baltimore, Maryland, and laid down roots in Israel close to forty years ago. He lives in Jerusalem, surrounded by his children and many grandchildren. For many years, he was known as a master scribe and devoted his energy to intensive Torah study. In response to popular demand, he founded Yeshivas Derech HaMelech, a place of higher learning geared towards spirituality. 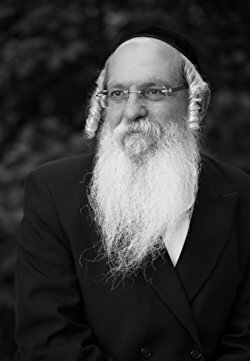 Rabbi Gartner currently helps numerous students and clients to strengthen their relationships, transcend self-defeating behaviors, succeed in the pursuit of their life goals, and deepen their spiritual life. The teachings that he has shared with them, and now with you, are based on the ancient but ever-relevant system that you'll discover in Living Aligned.